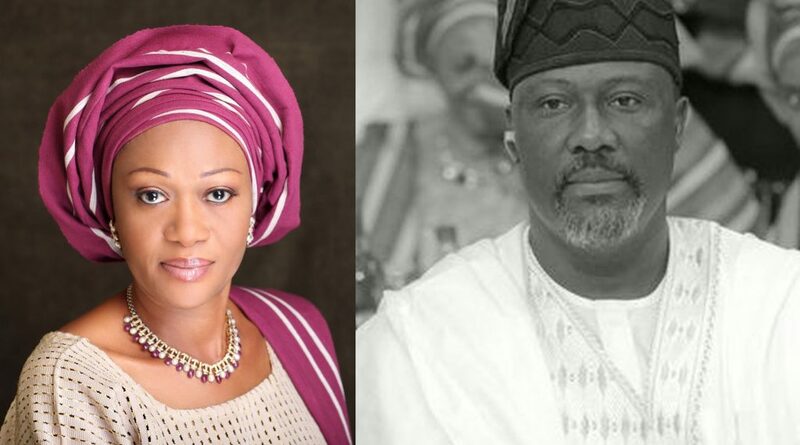 Senator Oluremi Tinubu, says as a Christian she has forgiven her Kogi-West counterpart, Dino Melaye, for abusing and threatening her. Tinubu, however, said would not be intimidated by anybody and that she would continue to fight for her right. She said this on Wednesday when members of the Lagos State House of Assembly from Lagos Central and members of the All Progressives Congress caucus as well as some party leaders paid her a solidarity visit at the National Assembly Complex, Abuja. The Lagos-Central caucus was led by Sen. Muniru Muse, while the National Assembly caucus was led by Sen. Gbenga Ashafa. Tinubu had accused Melaye of assaulting her verbally during an executive session of the Senate last week Tuesday. Melaye had, however, denied the allegation, claiming instead that Tinubu insulted him. Tinubu said when she started to think about all that transpired in the Senate for some days on Wednesday, she shed tears for the first time since her encounter with Melaye. She said, “When the Senate President invited me yesterday and I gave my word. You can see the channel I have taken in the aftermath of the event. I reported to the IGP; I wrote to him also, after I waited for one week. When it happened, it was him I went to. I waited for one week and nothing was done. I also wrote to the party (APC) chairman. “I met with the Senate leadership yesterday (Tuesday) after one week; I met with him (Senate President Bukola Saraki) yesterday. And as a Christian, I said I had already forgiven him (Melaye) for even with the way I was treated. But the point is that what people don’t realise is that I am a very reserved person. “After I gave my word to him (Saraki) yesterday, I told myself that at 55 I am not a wimp of anybody. “I witnessed the Sani Abacha regime and I know what I saw and why I am committed to this cause. But now, my hands are tied to say I forgive people. I am a Christian; when I give my word, I must abide by it. But I am not scared to follow this through. “I am not championing a cause for women. I am only standing in my space and if my space is encroached upon, I have to fight back. Rosa Parks wasn’t an activist; she just decided to sit in her space and not give up her space anybody in a bus. And that sent a message. The senator also denied sponsoring women groups to protest on her behalf against Melaye. She stated that she had given her best to her constituency in five years and that inspired the protests that have trailed the verbal assault on her. “I didn’t give anybody (any money); I don’t even have N80m in my personal salary account in the Senate. And I don’t think if I have any other savings I want to use it to mobilise women to protest. What about the investments we have put into politics? How much has that done for this country?” Tinubu said.